Long Beach, CA—April 10, 2017—A class action settlement agreement to make Long Beach’s sidewalks, crosswalks, and other pedestrian pathways safer and more accessible for people with mobility disabilities was preliminarily approved by Judge Dale Fischer yesterday evening. This civil rights victory was negotiated with the City of Long Beach by Disability Rights Advocates (DRA), Disability Rights Legal Center (DRLC) and Goldstein, Borgen, Dardarian & Ho (GBDH). Under this agreement, the City of Long Beach will construct curb ramps at all locations where they are currently missing within 5 years. 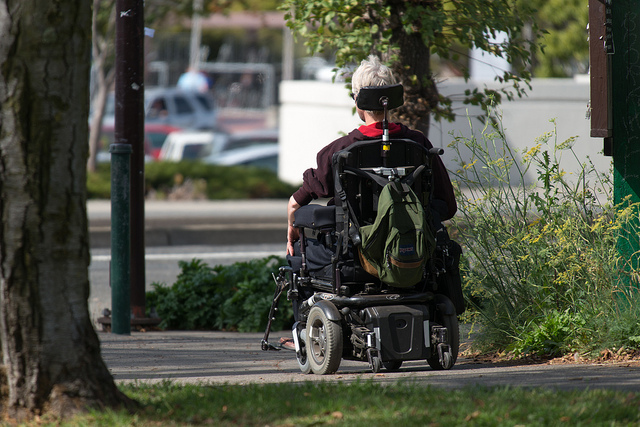 Existing curb ramps that are damaged and unusable by people with disabilities will be fixed over the next 20 years, backed by a budget of up to $50 million. In addition, the City will spend up to $125 million over 30 years to repair inaccessible sidewalks and crosswalks. The settlement also requires the City to allocate approximately $5 million over the first 10 years to fix pedestrian barriers specifically reported by people with mobility disabilities. In total, the settlement requires disability access barrier removal work valued at approximately $200 million. These improvements to the City’s pedestrian rights of way, backed by strong financial commitments and policy changes, will ensure all residents of and visitors to Long Beach are able to safely travel and enjoy pedestrian pathways for working, shopping, dining, and more. A copy of the settlement agreement is available below.